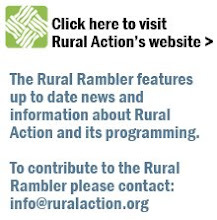 The Rural Rambler: GoBus: State Of The Art Public Transportation Coming To Town! GoBus: State Of The Art Public Transportation Coming To Town! What is GoBus? GoBus is an exciting new transportation initiative operating round trips twice daily beween Athens and Columbus and Athens and Cincinnati with stops in-between for a fare of only $10! The 2011 GoBus fleet of brand new motor coach buses will feature wireless internet, electrical outlets, and extra leg room. First Class Amenities for First Class Travel! GoBus is affordable, easy to use, environmentally friendly, and a great way to travel. Come to learn how you, your friends, neighbors, or customers can use this service for only $10. This collaborative effort is being made possible by the Federal Transit Administration, Ohio Department of Transportation, the City of Athens, Hocking Athens Perry Community Action, Greyhound Lines, and Lakefront Lines. There will be a kick-off celebration on Tuesday November 9th at the Athens Community Center, located at 701 E. State Street in Athens OH. There will be food, door prizes, and a raffle for 20 $50 GoBus tickets.